Flipping Over Made4Math ~ No Limits on Learning! 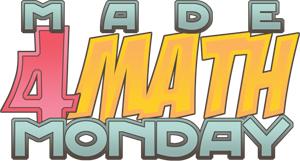 Happy (belated) birthday, #Made4Math! 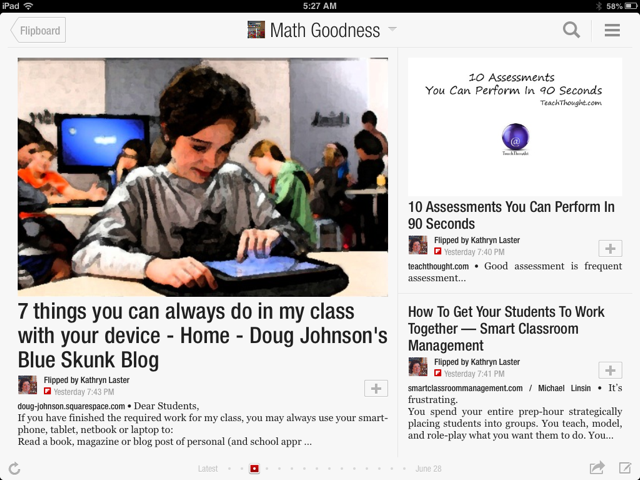 Because of #Made4Math, how many teachers progressed from simply reading posts to tweeting and/or creating blogs? (me!) And because of these amazing resources, how many different teachers tried a new idea, changed/improved a lesson, collaborated more with colleagues, read a new book, or took a risk? 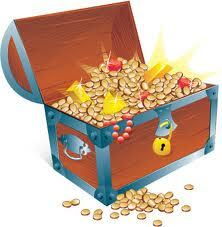 One of the popular summer reads is Teacher Like a Pirate, so I decided #Made4Math = a treasure hunt and a chest of gold. 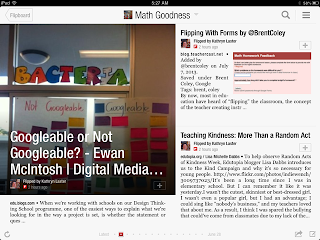 Because of #Made4Math, my blog list exploded! Each time I find a new blog, it's a treasure hunt of additional links, pages, tabs, downloads, and ideas. Because of #Made4Math, I learned a bit about ColourLovers and creating graphics, Vistaprint, and how to cut composition notebooks. Bloggers shared everything from posters, to organizing ideas, to 1st day activities. I work with all of our teachers and I help plan our staff development, so I frequently share your posts with our faculty. The assessment ideas, such as this post (which inspired me to buy Embedded Formative Assessment and to use similar exit tickets) and the video blog on post-it exit tickets were both favorite blogs for many people at my school. Because I now have a giant treasure chest of gold ideas, I need a better way to organize all of my blog reads. Since I've had my iPad, I've used Mr. Reader, which I love, and I'm so happy it now syncs with Feedly. I'm also using Pocket, but I am still not doing a good job of organizing favorites. I also tried Pinterest and keeping lists on Google documents, but those options were not working for me either. Enter Flipboard, which is making me very happy. I'm not using it for my blog feeds (or Twitter or Facebook); instead, I'm using it as a way to organize my favorite posts and to find new content. I created quite a few different "magazines," so when I find something I love, I add articles to the appropriate place. 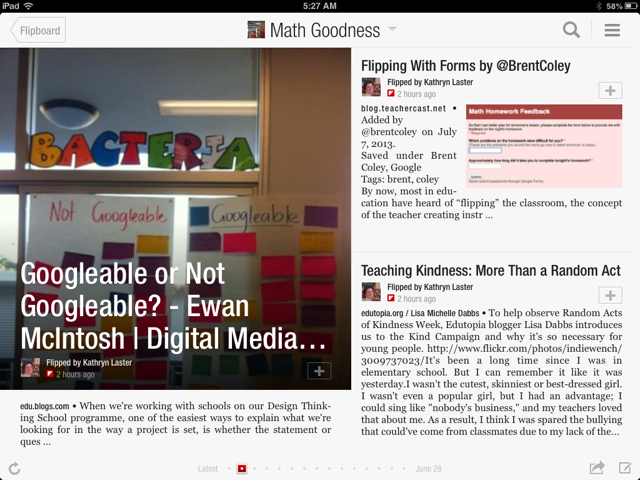 It is easy to share articles via Flipboard, and you can also collaborate on magazines. If you're still looking for a Google Reader replacement, you can use Flipboard for reading blogs and for your social network feeds. 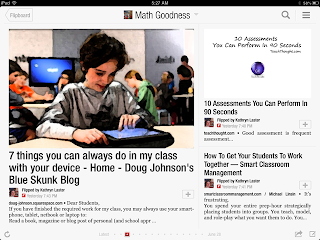 I have flipped over all of the wonderful new resources I found this year, so thank you #Made4Math and the math blogging community for being such a treasure trove of ideas! Thank you for encouraging me to share and learn!